Skelly-chan is a little dead girl who doesn't let death stop her from living her life! 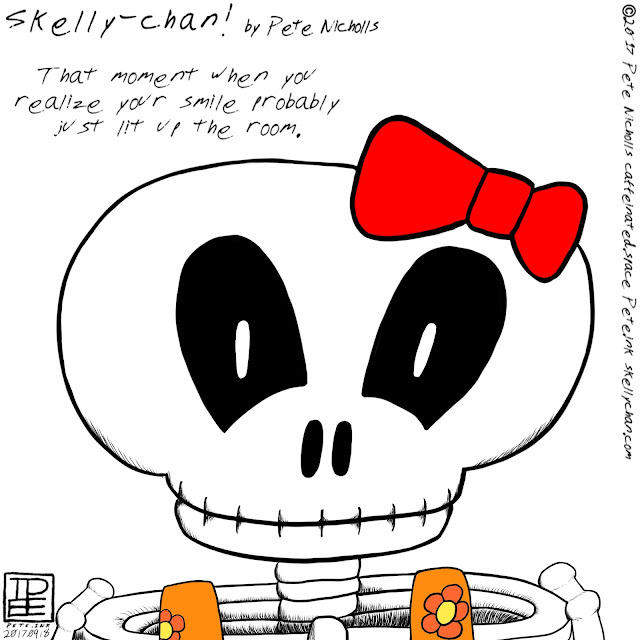 Skelly-chan is a character created by Pete Nicholls. Skelly-chan merchandise is available! Go buy some!